Analysing a vast corpus of biblical, ancient, rabbinic and modern Jewish literature, the author seeks to give a better understanding of this central doctrine of the Jewish religion. 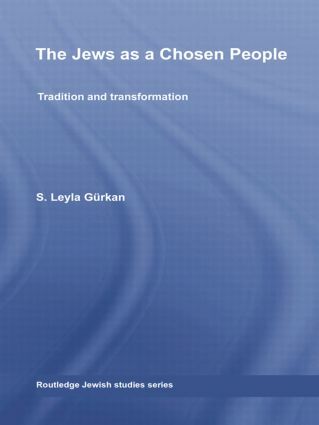 She shows that although the idea of chosenness has been central to Judaism and Jewish self-definition, it has not been carried to the present day in the same form. Instead it has gone through constant change, depending on who is employing it, against what sort of background, and for what purpose. Surveying the different and sometimes conflicting interpretations of the doctrine of chosenness that appear in Ancient, Modern, and Post-Holocaust periods, the dominant themes of ‘Holiness’, ‘Mission’, and ‘Survival’ are identified in each respective period. The theological, philosophical, and sociological dimensions of the question of Jewish chosenness are thus examined in their historical context, as responses to the challenges of Christianity, Modernity, and the Holocaust in particular.